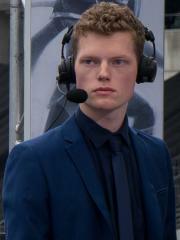 Jacob "Maelk" Toft-Andersen is a Danish Dota 2 player, formerly a DotA: Allstars player. The largest cash prize that Maelk has been awarded from a single tournament was $16,000.00 from The International 2011 on August 21, 2011. His 4th place finish makes up 62.80% of his total prize money won. Maelk has contributed to the competitive scene of the following games outside of competing in tournaments.